Multi-pitch climbing skills - How to lower off your partner? 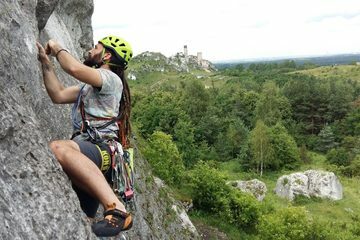 Multi-pitch climbing skills – How to lower off your partner? In this blog post, I’ll be discussing how to lower off your partner when using your belay device in so-called “guide mode”. a) make an overhand knot behind belay device on the dead rope to free your hands. b) clip additional crab to your master point behind your belay device. f) now your climbing partner is on Italian (Muter) hitch, untie a locking hitches and you can start to lower him/her back or if a problem is solved you can belay him up! Disclaimer: All climbing and mountaineering are activities with a danger of personal injury or death. Participants in these activities should be aware of and accept these risks and be responsible for their own actions. If any of the technique, skills or advice presented on my blog are not clear to you, seek professional advice and instruction before applying them. Easy? 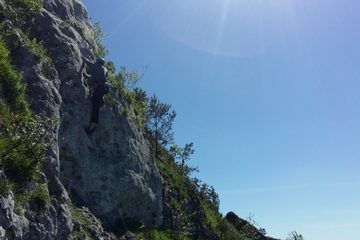 Sing up for my climbing courses in Poland and I can teach you all that in person! Want to learn more about something specific climbing and mountaineering techniques? Let me know in the comments below. Alpine skills – How to rope up on the glacier? The trad climbing rack – what to buy to protect yourself during a climb? Sport climbing skills – How to thread an anchor point? Climbing skills – How to set up an abseil? Tatra Climbing School - climbingholidays.eu - Marcin Piela - all right reserved. Trading from 2014.